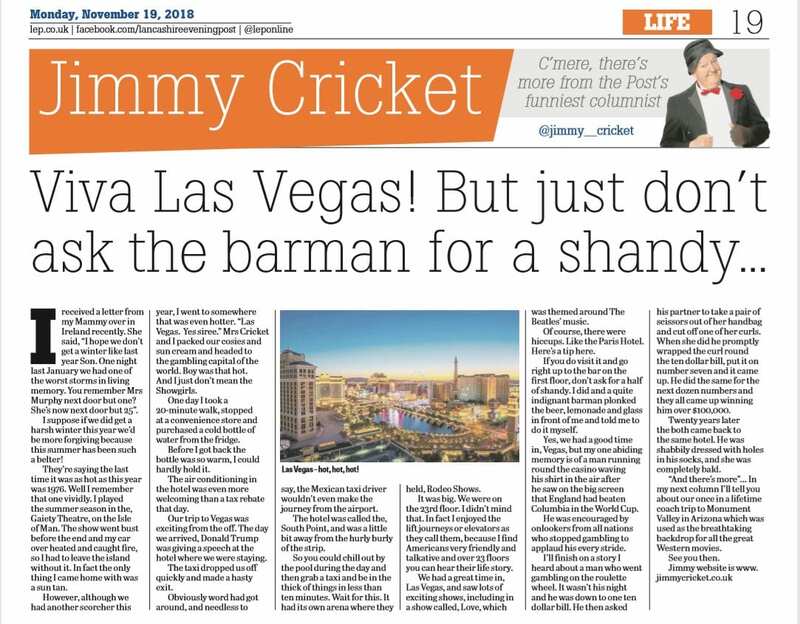 Jimmy Cricket has been continuing with his Las Vegas travelogue in a regional newspaper. The famous comedian, 70, visited the United States city of Vegas, known as the Gamblers’ Paradise, about 15 years ago. 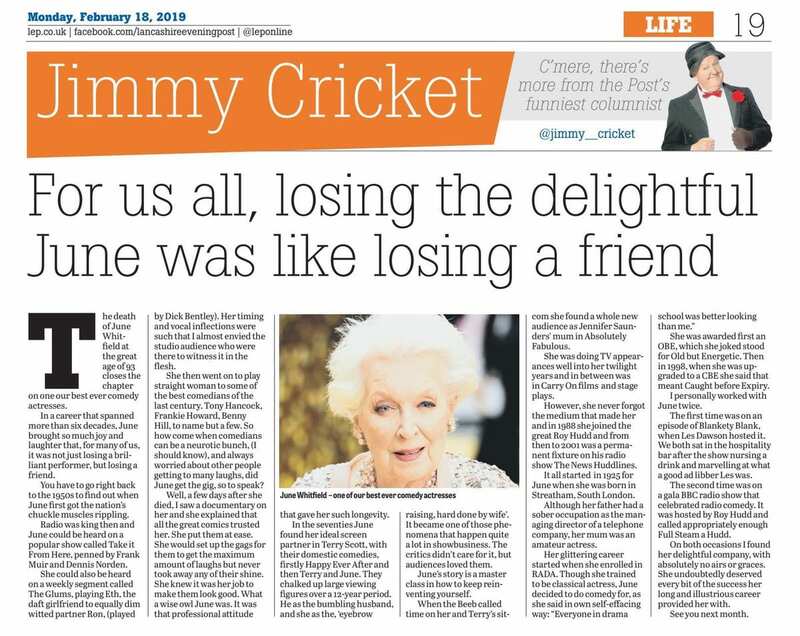 And it was an eventful trip, as he told readers of the Preston-based Lancashire Evening Post in his latest monthly column, having told them previously about the time pop legend Gladys Knight blew him a kiss at a concert in the city. 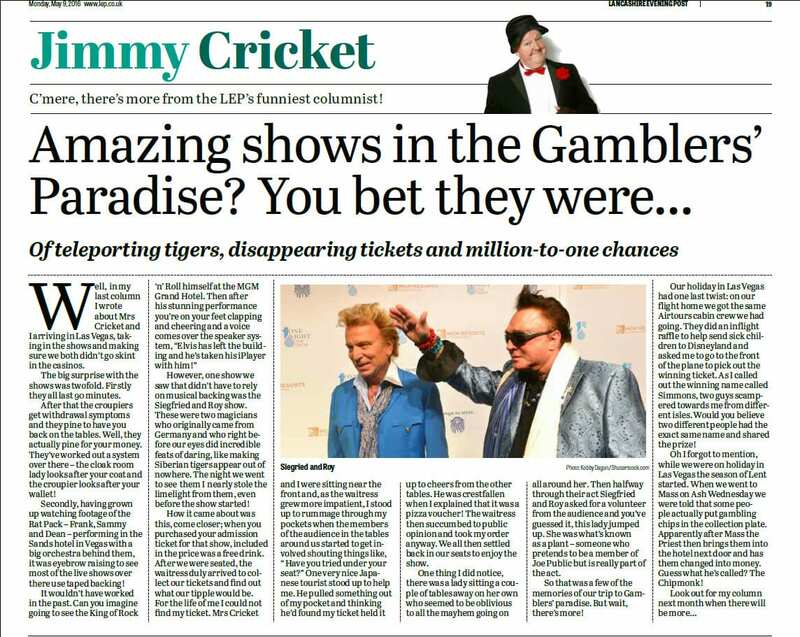 Jimmy said one of the other shows he saw involved two magicians performing “incredible feats of faring”, which included Siberian tigers appearing out of nowhere. 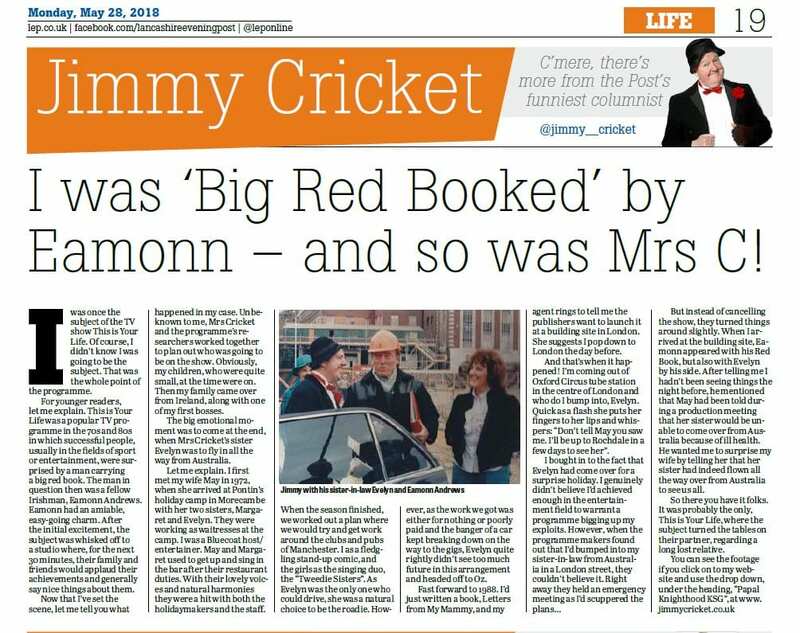 The religious season of Lent started while practising Roman Catholics Jimmy and Mrs Cricket were in Vegas. “When we went to Mass on Ash Wednesday, we were told that some people actually put gambling chips in the collection plate,” he explained. 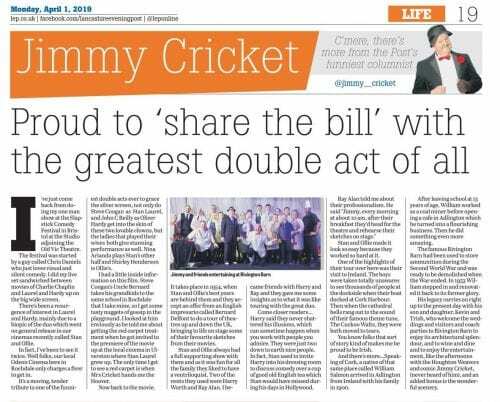 * Jimmy completes his spring season at the Lyndene Hotel in Blackpool with final performances on Wednesday (25 May) and Saturday (28 May). 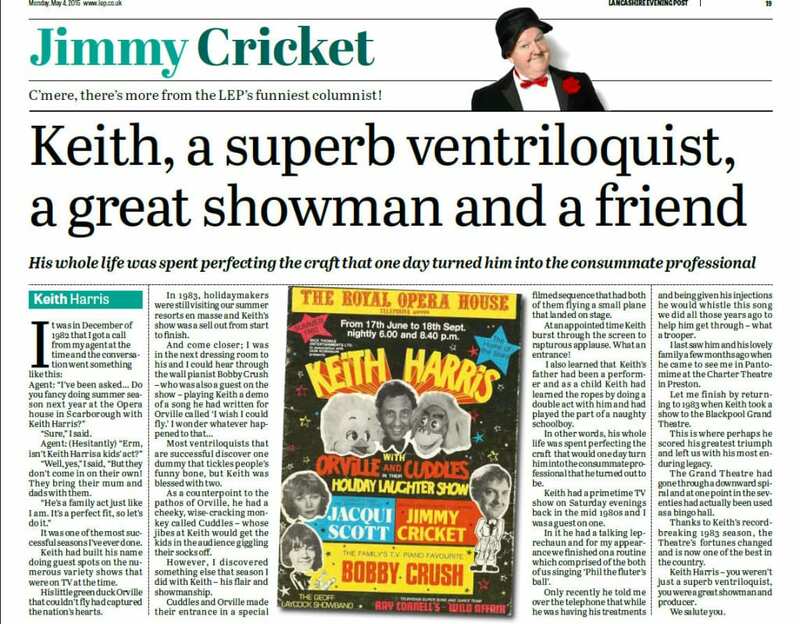 Jimmy Cricket has been remembering the one and only time he went to Las Vegas – where a music legend blew him a kiss! 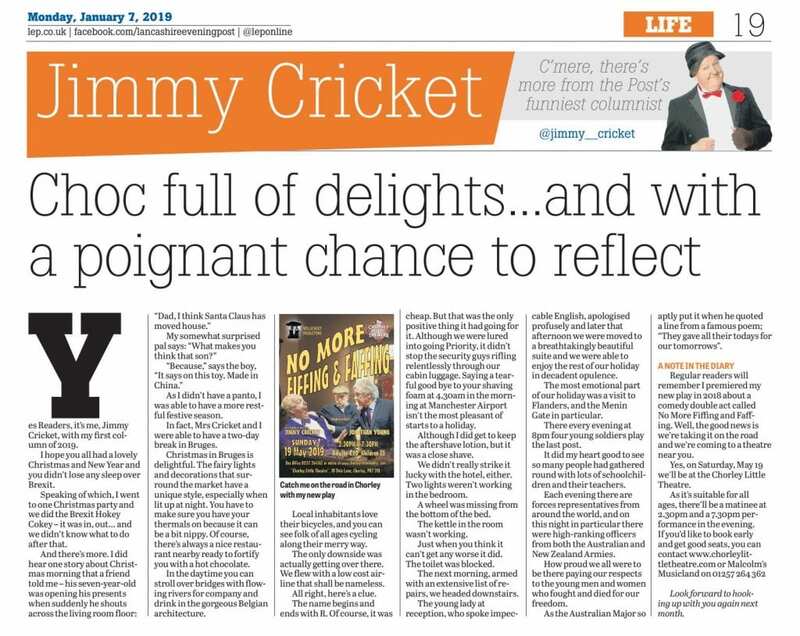 In his Lancashire Evening Post column for April, the well-known comedian, 70, recalls his visit about 15 years ago to the United States city of Vegas, famed for its gambling and endless entertainment. 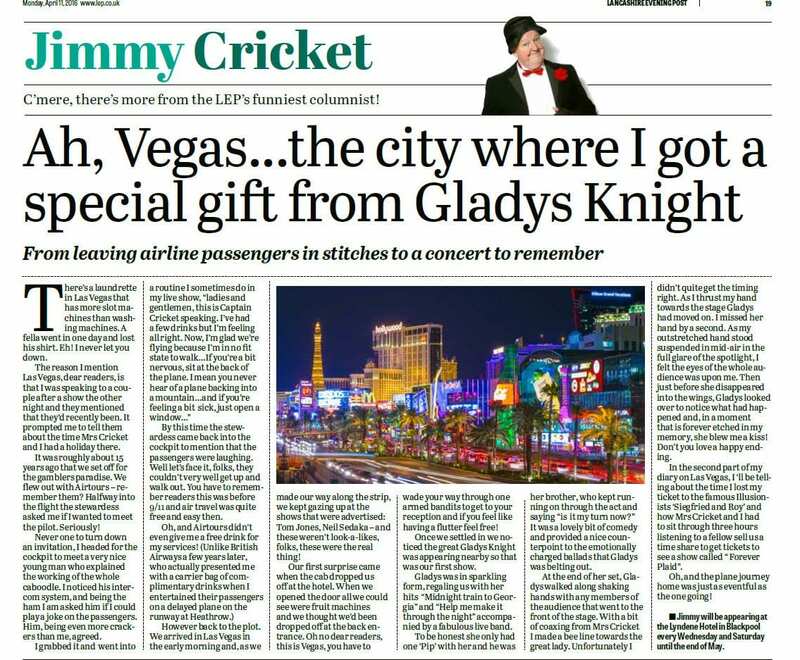 Having entertained passengers on the flight across the Atlantic, Jimmy says he and Mrs Cricket went to see Gladys Knight in concert. Known as the “Empress of Soul”, she is an American singer–songwriter and actress. She is best known for the hits she recorded during the 1960s and 1970s with her group Gladys Knight & the Pips, which also included her brother and two cousins. Jimmy says in his column: “At the end of her set, Gladys walked along shaking hands with any members of the audience that went to the front of the stage. 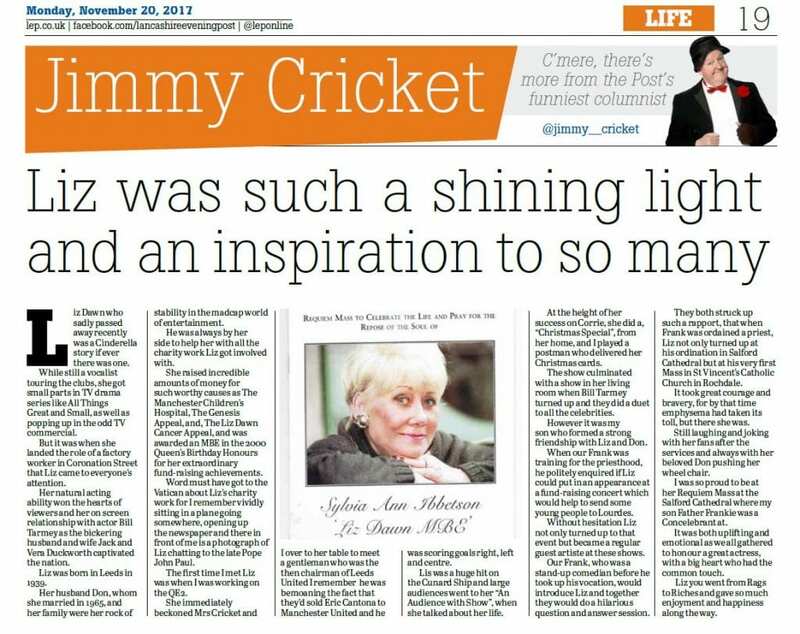 “With a bit of coaxing from Mrs Cricket, I made a bee line towards the great lady. Unfortunately I didn’t quite get the timing right. 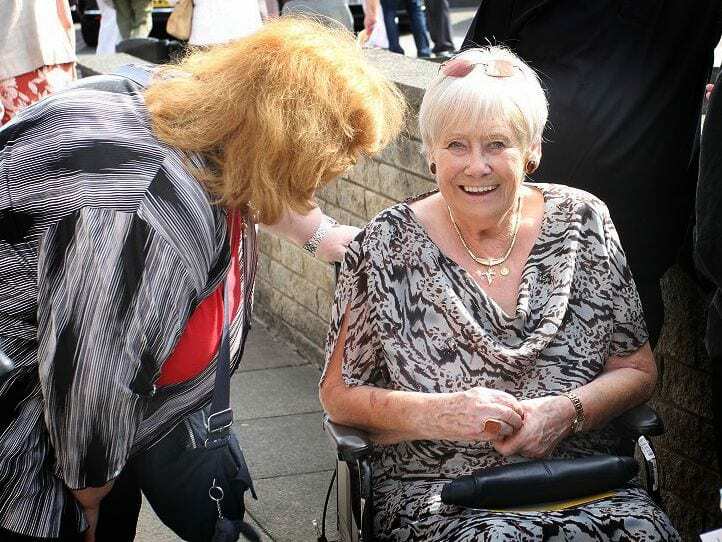 As I thrust my hand towards the stage Gladys moved on. I missed her hand by a second. As my outstretched hand stood suspended in mid-air in the full glare of the spotlight, I felt the eyes of the whole audience was up on me. 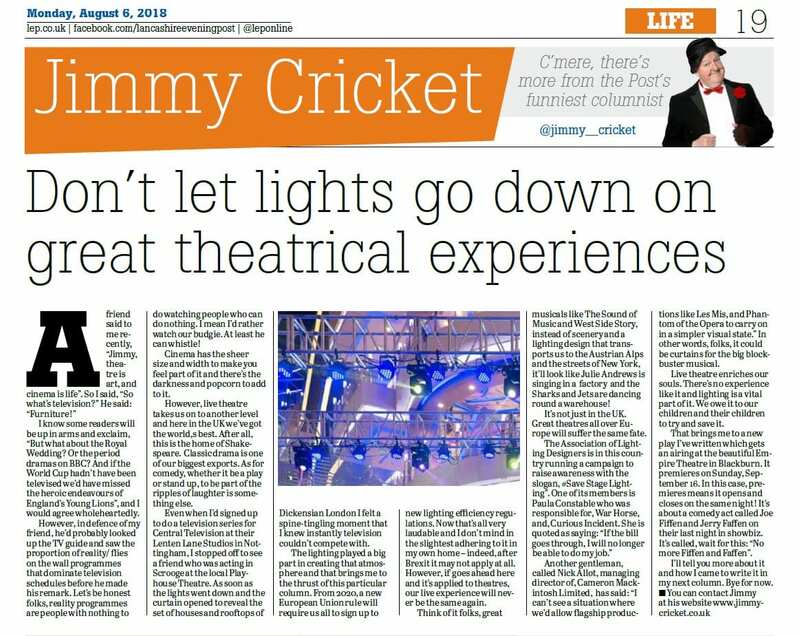 * Jimmy is appearing at the Lyndene Hotel in Blackpool every Wednesday and Saturday until the end of May.